(UNDER THE EAVES with Igomombe) Opposition: Squinting at Elections! I have just been reading Deluze and Guattari’s Anti-Oedipus: Capitalism and Schizophrenia. It’s a big book, one quite opaque and thus requiring stout intellect and a liberal outlook to digest it. If you are as sensitive to language as I think I am, and if you loosen rules of interpretation as does these two authors, the verb “lying” leads you into an even more interesting semantic territory. Try that out, gentle reader, and let’s see if and where we meet. Even if you are constrained by way of your conventional imaginings, or by Catholic moral prudery, still keep that quote in mind as I walk you through this week’s instalment. If not for fear of overloading your intellect, I would have adverted your attention to another loaded word, “couch”. For now, never mind. What a fine political deformity! The so-called National Patriotic Front (NPF) has come to very predictable grief. In itself, its launch was not a surprise or even worthy news, given the abundance of misshapen phenomena in much of creation. The Almighty is still to invent the art of perfection in that department. Or if you fear His vengeful wrath, you could safely say the Creator continues to mould practical jokes for His own amusement, out of ridiculous forms which human life continues to take. It is a safe postulate for the God-fearing who won’t impute fallibility on this great Deity. What really astounded me was the unimaginable deformity of NPF creators. You can’t miss the mismatch between their much vaunted sum intellect and sum experience on the one hand, and the sheer grotesquery of the creature they birthed, presumably after a busy, fecund night on the couch, on the other. Of course you are right to challenge me to say who “they” are. I shudder to say who “they” are as this could be actionable in a court of law. For would not linking them filially to the deformity that NPF pass for defamation? Who would want any paternal or maternal association with such a political Minotaur: part paper man, part silly donkey? Ndinotya kutongwa nemurairo wekuzvidza vanhuwee, as the late Paul Matavire would say. It triggers memories of a chastising incident which occurred in our village back in the colonial ‘70s. There was this roving, mentally challenged woman who raved mad. We called her Dzururwi, the splashing one. I grew up to find the name stuck naturally on her. So don’t ask me how she got it. In any event, it does not quite matter now that she is long dead and gone. No one knew which faraway village she had been born into or how she came to our part of the hamlet. Her splayed feet suggested great distances she had chewed to reach our neighbourhood. Surprisingly she seemed to have a partiality for our village. Why, no one quite knew or could say. True, she would walk up and down the dusty main-road, but by sunset, she would gravitate towards the village as if pulled by a great force. She became part of the village, which is how her name grew in meaning in our village. Anyone who behaved stupidly would be called by her name. It was a dubious honour all self-respecting kids dreaded. But there was something dutifully amazing about Dzururwi: she would conceive at prolifically regular intervals, and then carry clean pregnancies from some obviously libidinous source the whole village never knew who. Or if elders did, none was prepared to disclose to our tender ears. But one thing was clear: she certainly was not made in the mould of the biblical Mary. That meant she regularly fell pregnant from human (mis)deed. And because she was never seen doing an early morning sweeping chore in any of the village homes, all pointed to some discreet act of sexual liaison while the village slept. But the gene is such a stubborn “creature”. There was this rich family’s brood which Dzururwi’s scion unfailingly tended to take after. In unspoken disbelief, the village wondered why and how this biological freak repeatedly happened in a village that teemed with so many kids. The head of this rich family was a respectable family man. In daytime, he would carry himself about with absolute gravitas that qualified him for a deserving king our poor village would not have. He grew a big maize crop whose cobs rivalled the veinous hand of a strong man. His herd multiplied by more than a dozen tens. A real man of means who commanded great respect both for his wealth and presumed probity. Yet his brood shared this uncanny resemblance with the children Dzururwi presumably conceived in the dead of the night; then routinely delivered on leaf-covered hard earth amidst shrieks of pain and madness. Once in this world, Dzururwi would raise them on leftovers and throwaways from speeding buses that plied the dusty road to Muzokomba. Surprisingly they grew lusty, soon to vanish into the thin air once they stopped their rough, irregular suckle, to come of age. Then one fateful day this small villager known by his hamerkop head “lost” his mouth in a fit of nocturnal drunken monologue. Alone and in a sway and stagger from a beer party, he loudly murmured about rich men who had no shame. Rich men who took liberties with mad women while the village slept. Yet they had many cows, added the hamerkop head, by which to easily marry “my long neglected daughters.” It was a lamentation from a father who craved to taste cattle from dowry. Did he not have so many daughters who were as fit and as nubial as any in the village? Yet this rich man looked away as they daily went past his homestead, to the village well. Because this was late at night, the lamentation reached many ears, including those of the man of means, the only one in our poor village and few more beyond. Reasoning this was a pointed insult, the rich man swiftly “took” the matter to the chief of the area, of course via the village headman, as protocol and procedure bade. What followed was total disaster and doom for this hot-lipped man with a hamerkop head. Rumour said it was grief from this incident which hurried him to his grave, for he barely lived months longer after what followed. The rich man decided he would show the whole village that the Maker never favoured us with a facility for destructive speech after bitter drink. Or if anyone thinks He did, then he had to be ready to part with a large herd either to win justice or to pay the price. Still that did not abate whispers from the rather rumour-crazed village. What improved of course was the care with which talk transacted. And the talk swelled and multiplied. Apart from claims that the rich man weaned his children by Dzururwi to a sister who had been married off to some family in a far-off village, faceless rumour had it that the rich man had paid the headman several goats, and then paid the Chief two stout heifers ready to “receive” bulls, all to motivate a favourable judgment which he got. And to seal the rich man’s victory, Dzururwi fell pregnant yet again, to give birth to another child who resembled the rich man’s brood yet again. By this time the village had grown tired of its talk, and chose to go about its field chores — morosely quiet — than risk a war it would neither ever win nor stop the sin. For was it not more gainful to break your back in your tiny field than to bad-mouth a man who knew the asking price of “justice”? I don’t think leaving sires of NPF unsaid stops a decent conversation on the thing itself. By source, by name, by leadership, agenda and by “mouth”, NPF was fated to wither on the vine. And it did, which is why it maintains a ghostly reality, even as we get so perilously close to judgment day. Not just ghostly. There is a tumultuous uproar in the cemetery, as its founding spirits engage in a mighty leadership and agenda brawl. First was a decision to give reins to Mutinhiri, himself a liberation war hero. Beyond a photo-session or two, nothing more, nay, nothing much followed. Mutinhiri has since retired to enjoy the tranquil peace of Mahusekwa. A haughty man, he would not take orders from those timid boys who ran off to Nairobi. Then there was talk of some young, enterprising lawyer by the name Mutamangira. I know this gentleman only too well, know him well enough to tell you, gentle reader, that even if you put him on the banks of the raging Runde, he will not suffer soiling his hand with his own dung, let alone another man’s. He didn’t, won’t, and has since said so to those who matter. So count him out. There is an elementary difference between a decent lawyer who agrees to serve a client, and an unambitious man who made to embrace toxic politics. He only did the former. Please the media, let him be. Then there was an attempt to I inveigle my fellow Mhofu from Mashonaland Central — former minister Goche — to carry this monstrous corpse. Well, true to our clan, Mhofu yakaramba and publicly distanced himself from the whole project. 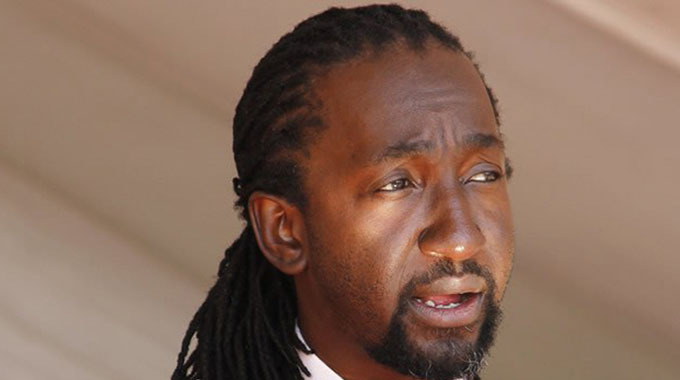 How on earth could he have acted otherwise, given the ignominy which he suffered when he was booted out of the ZANU-PF, alongside the likes of Joice Mujuru? Of course you read about the public spate between Saviour Kasukuwere on the one hand, and Jonathan Moyo and Zhuwao, on the other. 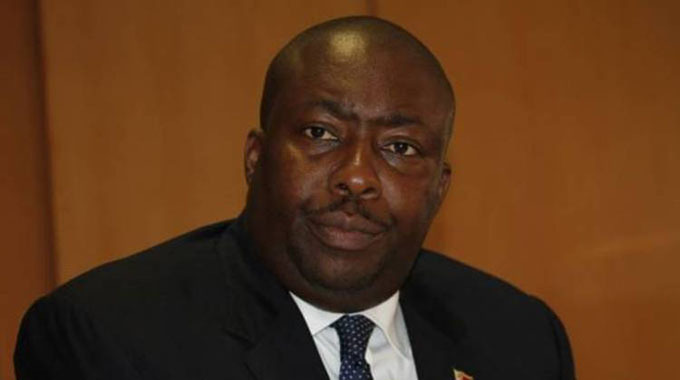 All sorts of slanderous allegations were made against Kasukuwere. As if that mattered at all to anyone. 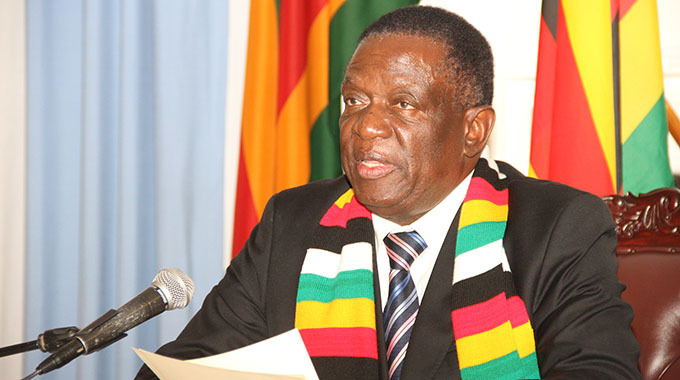 What mattered was the fact that the stitched-up, phony G-40 unity had collapsed barely five months into the new dispensation; a mere three months shy of the 2018 harmonised elections. In case you are interested in the “smalls” of the altercation, Zhuwao and Moyo allege Kasukuwere has cut self-redeeming deals with ED. Could be, I don’t know. Except all this does not matter to me or anyone who does not, neurotic-like, wonder philosophically from the couch. The real issue is that Zhuwao and Moyo — both of them lofty egos — have admitted to losing one of their own — and with it, the whole G-40 game whose busy-body was the man they now accuse of defacating — sorry — defecting to the New Dispensation! And accompanying that admission is a tribute, albeit back-handed, to the man whose natural rise they sought to frustrate at every turn. It’s an admission he has a long hand, and a better mind too, to direct that long hand, is it not? Which warps their own intellect and claims as modern-day Machiavellis, does it not? The baseline of political choices and actions is one’s economic interests, their preservation and defence. I thought that would be so basic to men and women who claim to have eaten big book. G-40 was built around, and driven by, the quest to capture State infrastructure in defence of amassed economic interests which ran the whole gamut. And also to guard against legal retributions arising from certain acts of primitive accumulation which brazenly offended against laws of the country and common human decency. Once this bid to capture State infrastructure collapsed, little else remained beyond fawned, over-stretched cords of camaraderie which grew tauter with every day that passed. The game was simple and inexpensive: merely weaponise time by stretching time against meagre means. Through a combination of time-honoured measures, the sparse financial wherewithal of the mugging G-40 soon gave way, making life in self-exile unaffordable. Back home, investments were getting overgrown by moulds and wild weeds. The expectation of funding from erstwhile friendly states on the continent and beyond only served to underline how and for how long the overly tolerant world had suffered us. It is not fortuitous that the G-40 project collapses soon after pledges of support for the new Dispensation from those very states which the cabal hoped to get succour from. How such wise men who claim to have eaten so big a book could not foresee all this simply boggles the mind. The other day I read a tweet where one Jonathan Moyo sought to wring self-comfort from political developments in Malaysia where the 92-year old Mahathir Mohammed had just successfully marshalled a broad coalition against the then incumbent. One hopes this American-trained Professor knows any other part of the world other than America itself. If he does, and if he is honest with his knowledge, then he may have a lot more to see, read and admit from contemporary global politics, beyond the self-pleasure of a Conradian “saving lie”. I mean a whole professor can’t be both a bad schizo and a bad analyst lying (no pun intended!) on an equally bad couch. But there is something beneath the feigned anger of Zhuwao and Moyo. And this fawning duo has got away with false righteousness because the local media still live in the dregs of a terror which these two once unleashed upon them during their derived or ascribed heyday. And the media have been told times without number that in themselves, these two wield no intrinsic power or value, only relying on consanguinity or by pawning false advisory intellect, by which they earn symbolic or associational power. Moyo in particular has been sending lewd hints which are barely subtle to the new authorities. Selling himself as a Machiavelli, he hopes to pawn his intellect — routinely overrated as his forte — to the New Dispensation. The other day he raised a gratuitous defence of both the current President and Vice President Chiwenga, after an equally gratuitous insult from an impulsive NPF minion who deserves no decent name except what he already he has. Then came a false on-line vote on whether an ED-JM alliance would be a winning one. It takes a supine or overly terrified media not to comprehend that such shallow wiles by a man whose equivocation has become legendary, are meant to plant ideas of a possible third coming. So why cast a stone on Kasukuwere? Zimbabwe is not Malaysia. Equally, former President Mugabe is not a Mahathir. Nor is ED a Najib. It does not take much to arrive at such conclusions, does it? Unless of course one wants to squint at national and local electoral politics. In which case the error is in the beholder! You don’t change reality by changing viewing vantage points. Talking about squinting at local politics, it does appear like a fault of the season, does it not? Things are falling apart within the ranks of the whole opposition edifice, and falling apart so spectacularly. Yet few want to acknowledge this tumble-down state in the opposition. That includes the indefatigable David Coltart who thinks you reach the voting village via twa-rs. I have already dwelt on G-40 where a major shattering development is set to hit yet in the intervening weeks, if it days. Its hope of engineering a hung result for a dilatory second GNU to buy itself time to regroup, is fast fizzling out. It was never a plausible proposition right from the beginning anyway. Mai Mujuru is as good or as bad as dead. I actually wonder why she frittered away the goodwill she stood to stock up from showing a positive disposition towards a fellow freedom fighter who is now at the helm. She did not have to go back to those who spurned her with such reckless abandon. Today she stands nowhere politically, wondering whether to turn right or left. Ko kumukuwasha? Since my well-meant advisory last week, a greater typhoon continues to descend on the shores of his political mainland. What I did not say last week was that Tsvangirai went away with his multitude, took it with him to the grave. All to leave behind a baneful, hard-to-resolve legacy by way of a leadership tussle which continues to play out while levying a huge toll. Support blocks are daily exfoliating predictably from the main frame. The choreographed crowds will increasingly fail to paper over the cracks. We saw desperation last week when MDC propaganda machine lamely totalled two rallies held at Murambinda and in Mutasa, all to shore up decent numbers. Pulling up a combined total of 7 000 in two dense districts before your rivals contest is not very lifting. But back to exfoliating blocks. First, there was Khupe and all she stands for in Bulawayo, until now a solid support block for MDC-T, now C! Next you have an angry women lobby in the Alliance led by likes of the highly influential Manjome and Misihairabwi, who now assert MDC is no home for today’s woman. The likes of young Mamombe or old Kwinjeh are a very tired counterpoint to matter. Not helped by Chamisa’s obsessive misogynistic indiscretions which he does not need at all. I notice the Zvorwadzas are also peeling off, away with another block of vendor support. As, too, does Eric Knight who gave an incisive appraisal of the Hardtalk program format which left one wondering why the same advisory was not proffered to Chamisa before the historic blunder. Last week I outlined the bristling egos inside the MDC angling for leadership. These remain, readier and more emboldened today than they were last week or the week before. It is an inverse movement. Beyond blocks and personalities is the issue of party agenda as spelt out in the manifesto. By delaying the launch of their manifesto, MDC failed to get out with the good story first. And all this at a time when ZANU-PF has taken all the elements that define recovery, re-engagement and FDI-led growth for Zimbabwe. MDC-C a.k.a. Alliance, now feels the heat of displacement. Welshman Ncube has embraced the ZANU-PF manifesto, praising it as just what Zimbabwe needs. That makes him a minion of ED, not a rival. In fact he has done with words what Tsvangirai and Biti did pictorially in 2013 when they were snapped enjoying the ZANU-PF manifesto. Which means whatever MDC-C publishes from now on is all but a matter of style, one bereft of thunder. One hopes that even their style will make an impression. And this is one key point to note: Zimbabwe has hit a point of convergence by way of vision such that there is little else to say after ED and ZANU-PF. We have reached our “end of history”, to correctly employ Fukuyama’s wrongly applied phrase. Once a Nation reaches such a point in its history, the following scenarios become likely. Party politics will most likely take a back seat as the governed willingly de-politicize in favour of hard-nosed economics and business pursuits. ED’s economic, economics, economics mantra will most likely fit and express this ethos and cast in national temperament. There is nothing more difficult than seeking to build an opposition in an environment where the national consensus revolves around giving the incumbent a chance, indeed around re-grounding national focus towards business, well away from high-octane politics which dominated the late 1990s and the greater part of the first two decades of the twenties. The opposition might not have seen it but we are all politically fatigued, which is why we just want the polls over so we go about repairing our lives, communities and economy. This fatigue favours the incumbent. Secondly, where a Nation embraces business-led politics, the voter transforms into a producer, partner, worker or skills-hungry student. All these are a far cry from the ubiquitous activist who dominated the nineties and twenties, and today looks decidedly fatigued. And when you look at these character-types, you readily accept that victory goes to whoever is viewed as likely to enjoy investor confidence and support. Signal moves by the British which raised Biti’s ire reflect the new thrust in global attitudes towards Zimbabwe’s politics. 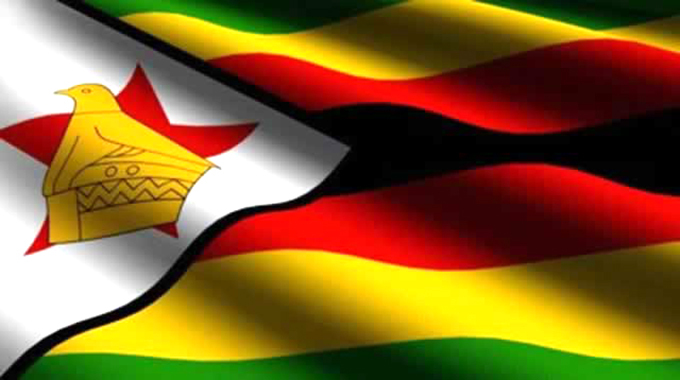 The investor community has been watching if ED does not embrace nationalist populism of the Mugabe days, or infantile politics of an MDC without its steadying “T”. He has navigated admirably well. The other test was on whether he would give investors a strong State which does not succumb to pressures from labour. Again, he passed that test. And once the economy starts steaming right ahead, his next challenge would be to create an inclusive growth in which interests of investors and workers evenly balance. Once he achieves that, his two terms are secured. As matters stand, his Zimbabwe is open for business mantra does sum up the reigning zeitgeist. All this is what the squint-eyed neurotic sitting in an analyst’s couch will not see. Which never stops history. Charira!